Prior to commencing a review of a potential merger and acquisition transaction, the tax and accounting implications of transactions costs that will likely be incurred during the process must be considered. This article is the first of a two-part series discussing this topic. This article focuses on whether transaction costs should be treated as a capitalized expense or an ordinary deductible expense. Part Two will focus on the implications of tax and book accounting for transaction costs, as well as the impact of earnout structures on the same. Transaction costs are often a significant barrier to entry for companies or individuals that are interested in becoming acquisitive. Therefore, understanding how transaction costs impact your taxable income or other financial results is critical in determining whether to explore acquisition opportunities. The Internal Revenue Service Treasury Regulations ("Regulations") require the capitalization of amounts paid that provide long-term benefit. In contrast, ordinary necessary business expenditures may be deducted in the year incurred. More practically speaking, if a transaction cost is to be capitalized, it would be required to be included in the tax basis of the acquired ownership interest or assets, while transaction costs that are deemed currently deductible may be used to offset current taxable income in the year incurred. For purposes of this article, transaction costs include those fees paid to outside vendors such as investment bankers, attorneys, accountants, and other consultants for services rendered in connection with the acquisition, merger, or other business combination. The Regulations further expand on these general principles and provide that, if the costs incurred meet three requirements, they are considered to be non-deductible expenses and must be capitalized. The three requirements are: (1) the costs are paid to facilitate a "covered transaction"; (2) the costs incurred are for "inherently facilitative" activities; and (3) the costs are incurred subsequent to a "brightline" date. If any of the three requirements are not met for a particular cost, the cost is treated as an ordinary deduction. Each of the aforementioned requirements will also be tested against a facts and circumstances test, an explanation of which follows. A "covered transaction" would generally include the acquisition of substantially all of the assets of the business or the acquisition of the ownership interest in the business entity. Examples of "inherently facilitative" activity would include engaging an attorney to perform legal due diligence on a target company, drafting or negotiating a purchase agreement, or engaging an accountant to analyze the quality of earnings of the target, among other items. Examples of activities that may not be considered "inherently facilitative" include routine costs to a company, such as maintaining a business development team, or travel costs incurred by more routine target prospecting. The "brightline date" requirement is a date after which a transaction cost can change from being more investigative to truly facilitative. For example, if a company is involved in an auction process for a target business with other bidders, the costs incurred before a final bidder is selected (which is an example of the brightline date) would generally be treated as a deductible expense rather than a capitalized expense. In contrast, transaction costs incurred following such brightline date would need to be capitalized. ■ The Regulations further expand on these general principles and provide that, if the costs incurred meet three requirements, they are considered to be non-deductible expenses and must be capitalized. Having a general understanding of these tax and accounting considerations can better equip an acquisitive individual or company to make more informed decisions during the transaction process. For example, if an individual or company is participating in an auction process and is on the cusp of passing the "brightline" date, but does not feel strongly about the potential transaction or lacks confidence in its ability to close, making a decision to withdraw at that point can be the difference between being able to take an ordinary deduction in the current tax year for the transaction cost or having to capitalize the same. Part Two of this series will be included in the next issue of the Client Adviser. 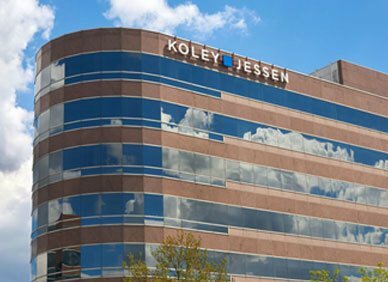 In the meantime, please feel free to contact any member of the Koley Jessen Merger and Acquisition Practice Group or Tax Practice Group if you have any questions or are interested in learning more about what is involved with the acquisition or sale of a business.